So what drum related stuff did you do today? Thread: So what drum related stuff did you do today? Re: So what drum related stuff did you do today? Saturday night, I went out to catch my old band with their new drummer. The band broke up last October due to drama between the singer and bass player. At some point, this spring, they buried the hatchet and started playing with a drummer that the guitar player had been playing with in another band and had known since high school. For whatever reason, they never contacted me to see if I had any interest in coming back. From a technical standpoint, he's a better player than I am, but the groove just wasn't there. They sounded better with me behind the kit, but I might be a bit biased. Last edited by weezy; 08-15-2018 at 11:15 AM. Had to assemble a freshly delivered Yamaha Stage Custom 5 pc in Cranberry. It's beautiful and sounds so good. I think we should call you Phillips 66 instead of Bish. You seem to have abundant reserves of GAS. Unpacked and set up the kit from last nights show, and cleaned all the cymbals. 1976 Tama Imperialstar Saturn 12+1 Platina6,8,10,12,13,14,15,16 concert toms, 16, 18 floor toms, 2-22x18 Bass drums. DW collectors Maple Blue Glass7x8, 8x10, 9x12 rack toms, 11x14, 13x16 hanging toms, 18x23 bass, 8 and 12 timbale toms, 5.5x10 Ten and Six All Maple snare, 5.5x14 Supersolid snare, DW 9000 rack system, DW 5002 Double bass pedal, DW 5000 Hi-Hat stand, DW 9000 Snare stand. 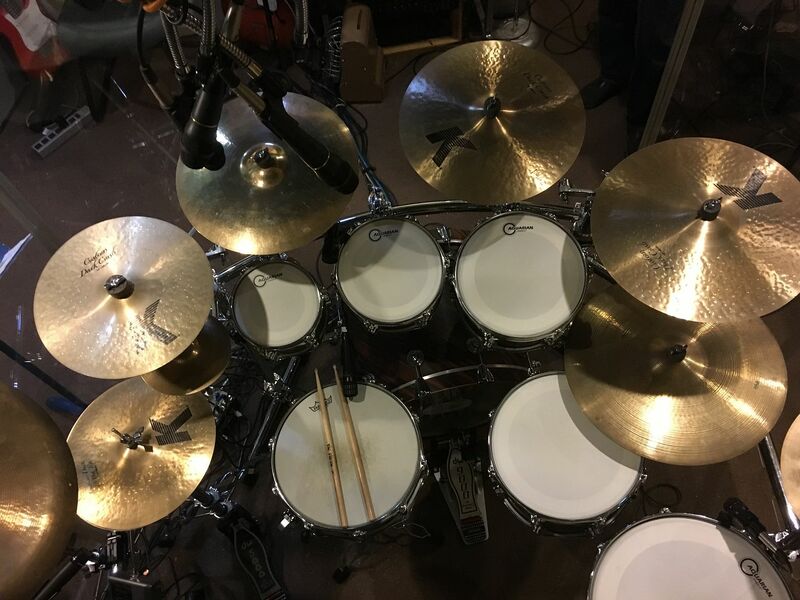 Sabian Xs20 cymbals: 16 & 18 crash, 20 ride, 14 hats, 8 splash, 18 china. Zildjian cymbals: 21 ride, 15 hats. All '70's era. Forgot I even posted that about the Yammy's. They are up. The pics are up. More to come. Just changed to Coated G2s from the single ply clears that came on them. mmmmmmmmmmmmmmm smooth. It gets worse or better. Keep watching. I forget about this thread. So on Sunday I setup some of my kit to start playing again. Been playing ever night since Sunday. I've been in the Beat Barn basically all week getting the Stage Customs ready to gig as well and making room for the new additions. 3 kits on a month. Unbelievable. Tune up my Oaks with the Remo Colortone heads and really diggin' on 'em at the moment. Practiced traditional grip to a metronome on a pad the other night, if that "counts?" Window shopping on the web for another new kit...or cymbals...or something I need. In reality, I have everything I need and more. AND, what I DO have is plenty good enough for my needs. What I REALLY need is to get back to work on restoring the pile of vintage Ludwig 3ply shells I’ve accumulated! Changed batter heads on my 10 and 12 inch toms. Thought about pulling the kit out of the cases and cleaning it and the cymbals and stands. Then I came to my senses. Whew, that was close. Driving out to Simi Valley to band practice. Today a female vocalist in the mix. . . . . .Hmmmm. The 2 bands I'm jamming with have keyboards and Sax players, very good ones at that! very cool. Nobody has done anything drum related since September??? I put a Gretsch sticker on my toolbox last night, that's drum related, right? Last edited by Powertrip240; 01-15-2019 at 06:59 PM. Oh, another thing. My new throne showed up today. Gibraltar 6608. I'm going downstairs to beat on my drums. I just received my new-to-me hi-hat stand. A Tama Iron Cobra Lever-glide. It was well used, but in great operating condition. There was a bit of light corrosion on the raised parts of the pedal, but with the help of a brass brush and some anti-corrosive lubricant, it cleaned up nicely. The rod is slightly bent, but I think I'll give it a go before I go ordering a new one. Last edited by Powertrip240; 01-25-2019 at 12:12 PM. 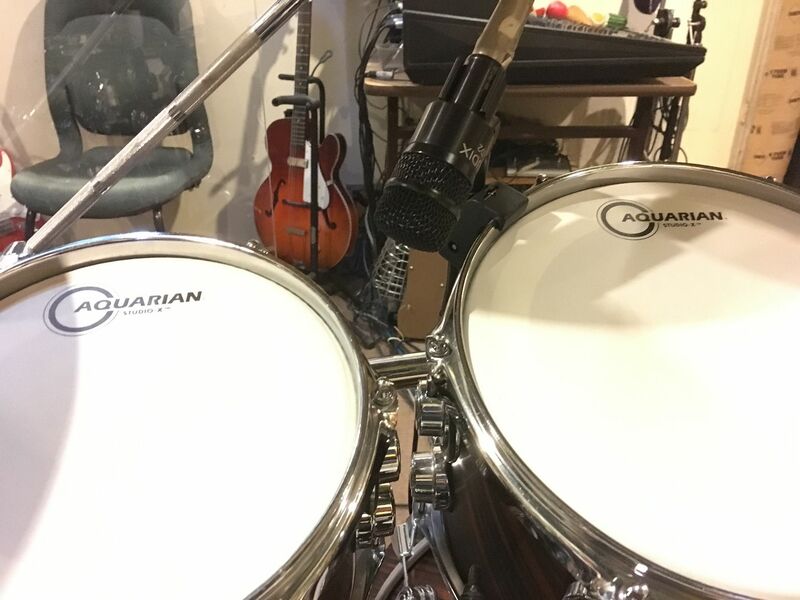 I went back to the Aquarian Studio X heads over Aquarian Clear Classics (think Remo coated Emps with a taped underside muff ring over clear Ambass). I found the Studio X heads were more subtle to my ears than the stock DW heads when close mic'd but I'm sticking with the Remo coated Ambass on the Ludwig BB. 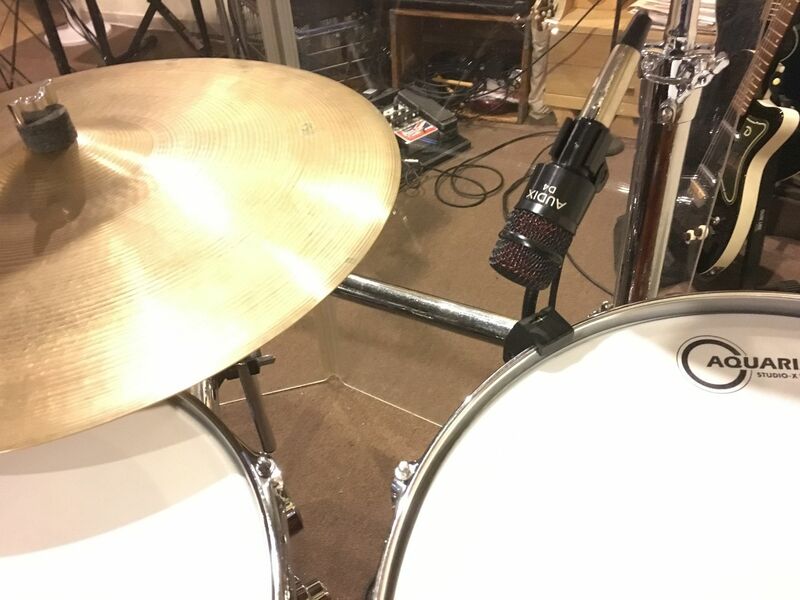 I moved the hihat mic (SM57) to the 12:00 o'clock position opposed to the 9:00 o'clock position where I found air lock from the hats were being picked up by the mic when I played 1/4 notes on the hihat pedal. 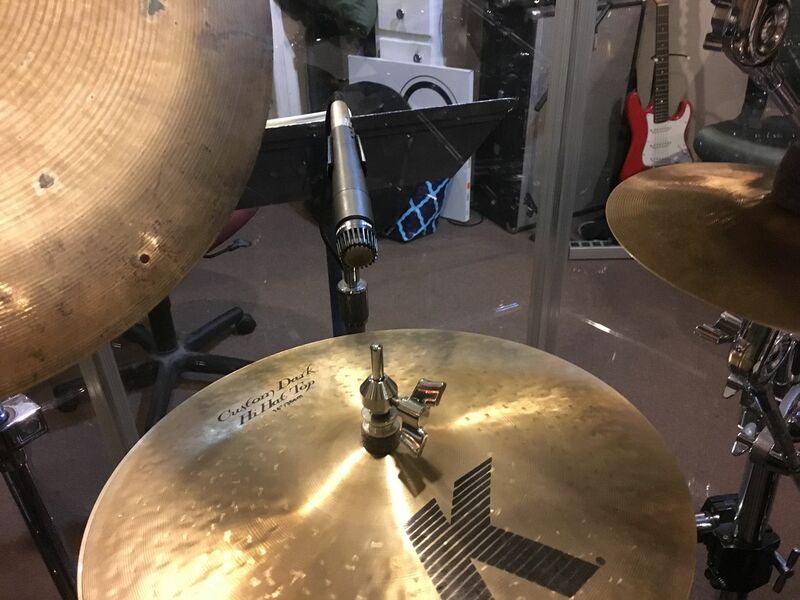 I ditched the idea of trying to mic the rack toms from a mic stand with a small condenser AKG T-170 overhead mic but went back to clipping a Audix D2 between the 8" and 10" tom and a Audix D4 between the 10x14" rack tom and 14x16" floor tom. Moved the 8" AAX splash under the 14" Zildjian K Custom Dark crash. 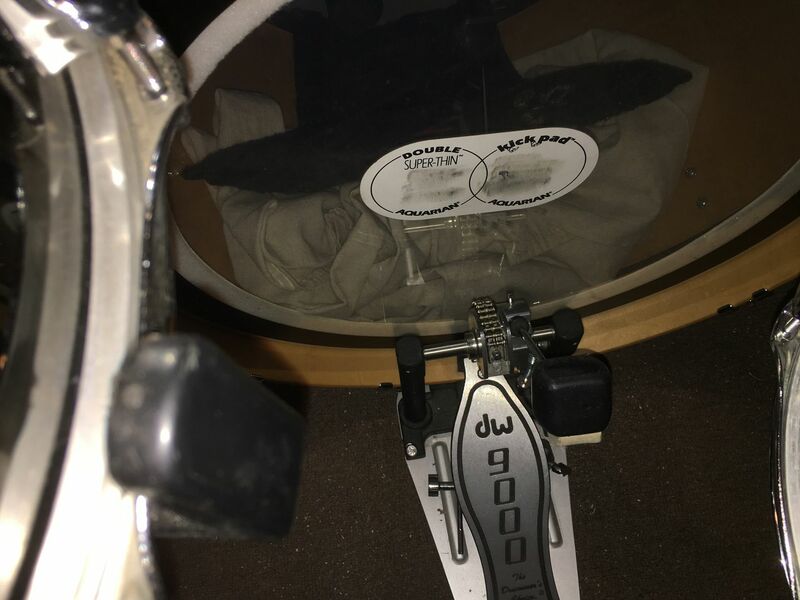 Stuffed the 18x22" bass drum with some "laundry" and a Evans EQ bass drum pad after I swapped out the stock DW head to a clear Aquarian SKII batter head. Got more "thump" than a "boom". 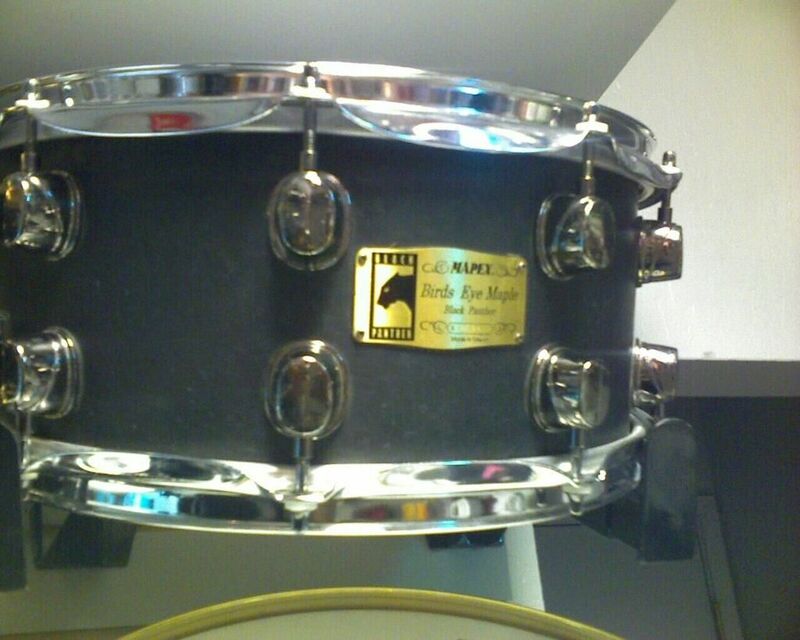 I'm picking up a new head for my Mapex Black Panther 6.5x14" birdseye maple snare that I bought used 10 years ago at my local mom and pop drum store. I've forgotten how good the Mapex sounds since I've been playing nothing but a 5x14" Ludwig BB as of late. 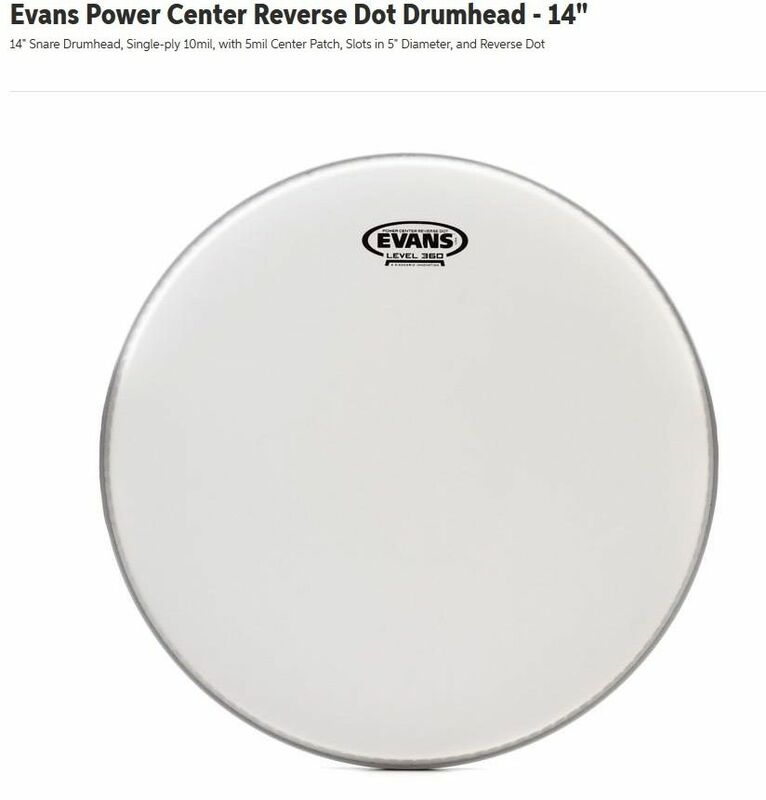 The snare has had an old Evans PC reverse dot for the batter since buying it and I'm getting lots of positive comments from my band-mates since switching to Mapex so I decided to replace it with a newer version. I haven't bought Evans heads for a while. In fact, this is the only drum related item I have purchased since my divorce back in December of 2018. Man, things are looking up! Ordered a new ride cymbal today. I’ve been wanting a new 18” ride to use with my small gig kit. I LOVE my bass drum mounted ride, but on an 18” bass, a 20” ride interferes with the tom mount. 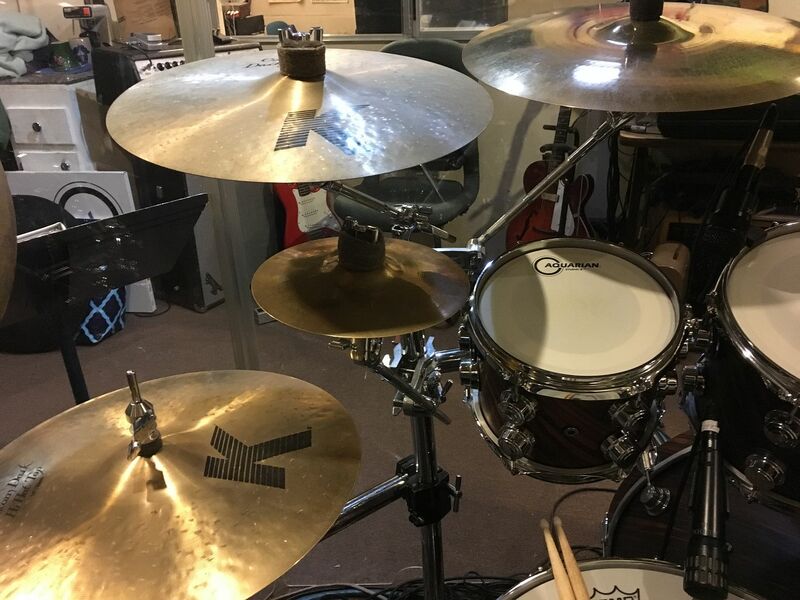 I’ve been using an 18” Wuhan crash/ride. It sounds great, but just a little too much wash and too little stick definition. If you really lay into it, it gets out of control quick. I also have an 18” Zildjian A medium ride, but I hate it...waaaay too bright.